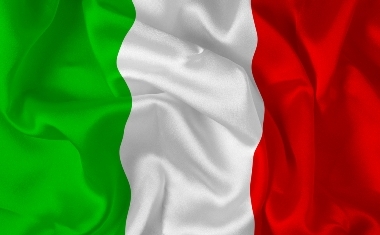 A group of Italian banks is staying very vocal as its blockchain system test pushes on with more organisations and action. As reported in October, 14 banks passed the first phase with the help of ABI Lab, the technological laboratory supported by the Italian Banking Association (ABI). This followed on from June when they said this new tech will be applied to interbank processes to increase data transparency and visibility, speed in executing transactions, and allowing checks and exchanges directly within the application. In the latest chapter, the Spunta Banca Project (loose translation: “Bank Check” Project) moves on to the next phase. The project includes technical partners NTT Data and SIA, as well as R3’s Corda platform. This time we have 17 banks, representing 65% of the Italian banking sector, involved in the testing, selection and implementation of the new distributed ledger technology (DLT). According to ABI, nearly two million movements, two months of actual data from the 17 banks, were uploaded. Compare that to October, when a total of 1.2 million movements were uploaded. ABI says: “Banks are paying close attention to this experiment. There is also interest from banks in other countries.” It didn’t offer any details about who, what, why etc. The queries (database queries on the all transactions in a node) averaged 3.28 seconds. The application’s technical features include 20 flows, smart contracts within the Corda platform, 50 API services, and 30 web pages. The extra three banks are Banca popolare dell’Emilia Romagna (also known as BPER Banca), Banco Desio, and Banca Popolare di Puglia e Basilicata. The initial pilot included Banca Mediolanum, Banca Monte dei Paschi di Siena, Banca Sella, BNP Paribas Group, Banca Popolare di Sondrio, Banco BPM, CheBanca! – Mediobanca Group, Credito Emiliano, Crédit Agricole, Credito Valtellinese, Iccrea Banca, Intesa Sanpaolo, Nexi Banca, and Ubi. Along with this news, ABI Lab has entered into a partnership agreement with R3 to develop applications and solutions on Corda. Pierfrancesco Gaggi, chairman of ABI Lab, comments: “We believe that the partnership with R3 will provide a wealth of answers to the questions of simplification, certainty and efficiency of processes”.